Brico AQUATAPE is a thin-walled blue striped polyethylene black tape, with continuous drip labyrinth drilled at pre-ordered constant spacing. 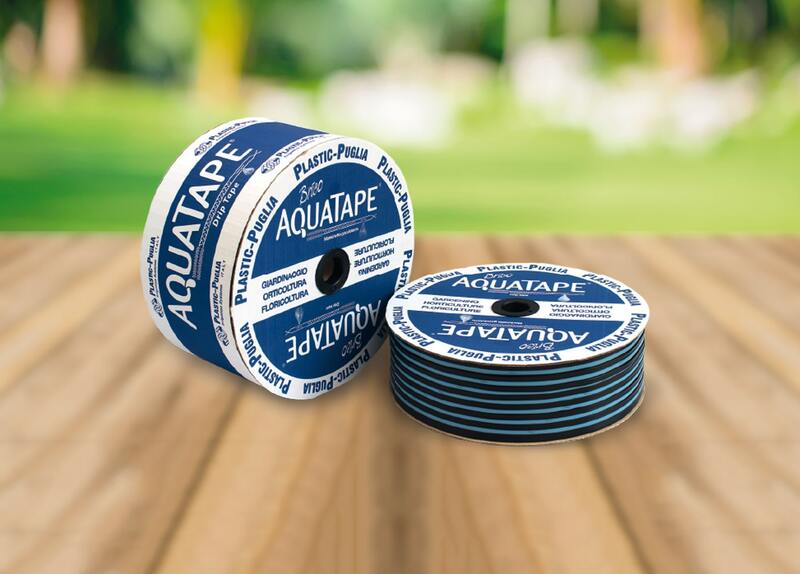 The Brico AQUATAPE drip tape is suitable for small, medium-sized installations for horticultural crops, especially on particularly draining soils, where a close drip spacing is needed. The characteristics of the packaging and the ease of installation on the field, make this product versatile and practical one, especially for "DIY" irrigation installation. UV-resistant dripper lines to avoid the attack of micro-organisms and moulds, saline water, acids or alkaline solutions normally used in agriculture.